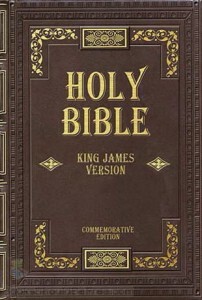 Holy Bible PDF download is available here for free. Use the link given in this article to download the Holy Bible PDF file. The names of all the books in the Holy Bible are given above. From now on, whenever you want to read/refer a particular chapter or verse from the Bible, type it in the ‘Find’ box of Adobe Acrobat Reader through which you read all your PDFs. You can save a lot of time turning the pages of your printed Bible. Sounds great, right? Keeping these benefits in mind, I had been looking for a PDF version of the Bible. Anyway, by God’s grace, my friend Babu Mathew just happened to have this file with him. THANK GOD! I am sharing that PDF with all of you here on TBTG. As true Christians, we all should have read the entire Bible at least once in our life. I know some will complain that its not possible to carry around a book as huge as the Bible. For those of you, I am giving this free electronic version of Holy Bible, the whole Bible in a single PDF file, by clicking the link right below this. Click on the bold red link given above to download your copy of the PDF version of Holy Bible. Wish you all a great time reading the Word of God, in PDF version.